Company officials and workers at Ketchikan Cold Storage pose with three large halibut at the Cold Storage dock. In 1904, Ketchikan grocer Forest J. Hunt was the first to ship fresh halibut, packed in natural ice, to Seattle. Other businessmen followed his lead, and within a few years an insulated building had been built on the dock for storage of natural ice and processing of the fish. It was not until 1908, however, when New England Fish Company built their cold storage plant south of town, that it became possible to ship very large quantities of frozen and iced halibut. 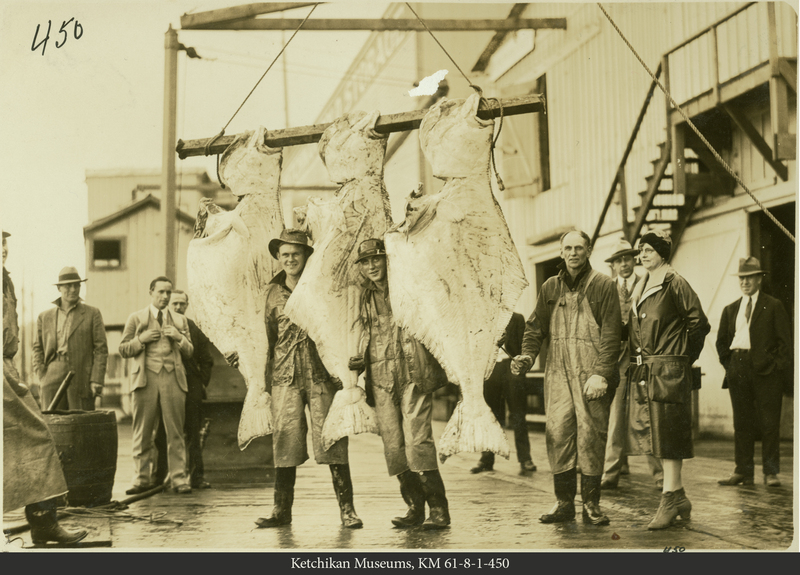 By 1912, almost 7 million pounds of halibut was shipped from Ketchikan. The following year, the Ketchikan Cold Storage Company opened a new cold storage facility on the dock at Front and Grant, adding further to local halibut processing capacity. The plant operated until the 1960s. The large concrete structure was torn down in 1968. Passengers are visible on the steamship and lining the dock. Wooden barrels are lined up on the dock and another steamship is visible in the background. 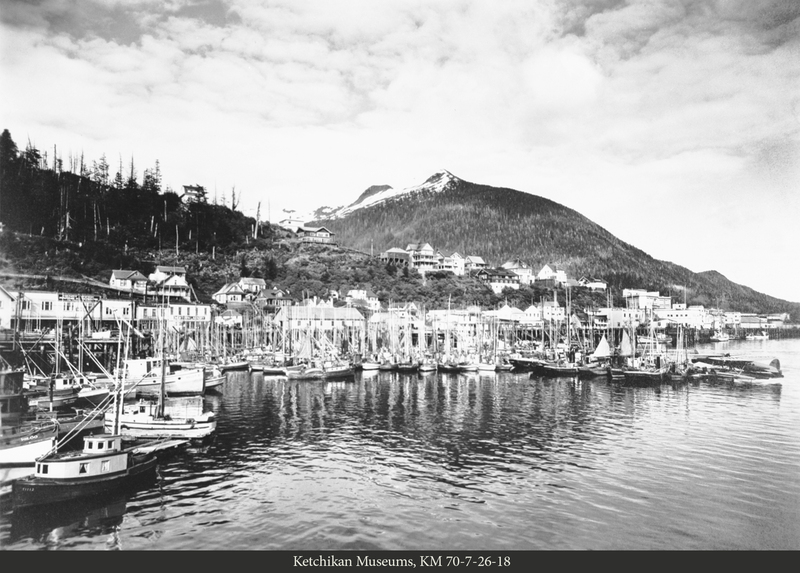 From the beginning of Ketchikan's history, it's expansion north has been somewhat limited by a large bluff that extended down the hillside to the water. 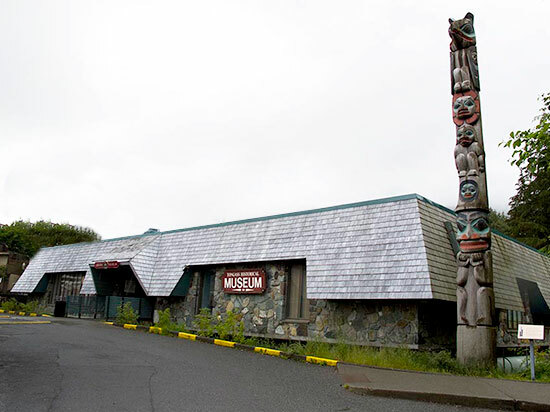 Today that bluff is the home of Ketchikan's world-famous tunnel, once touted by Ripley's Believe or Not as the only tunnel in the world that you could drive through, over and around. 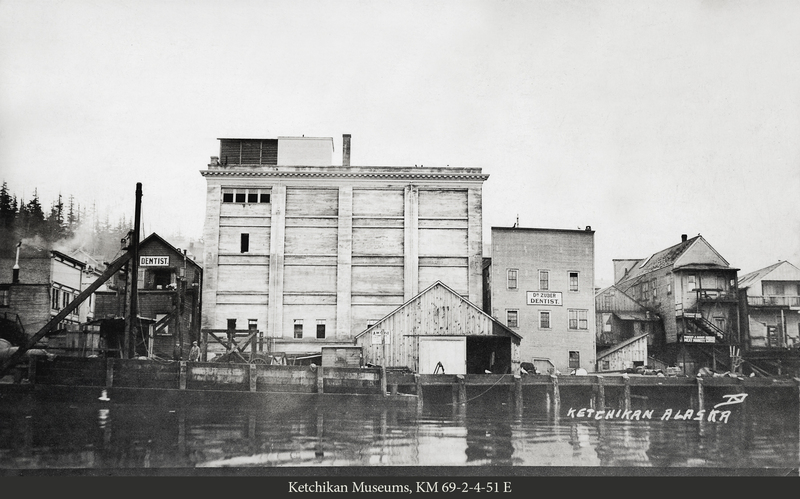 By 1895, Ketchikan was already beginning to outgrow the available land between the Creek tideflats and the bluff. There was some available tideland for development north of the bluff in an area that was called Newtown. 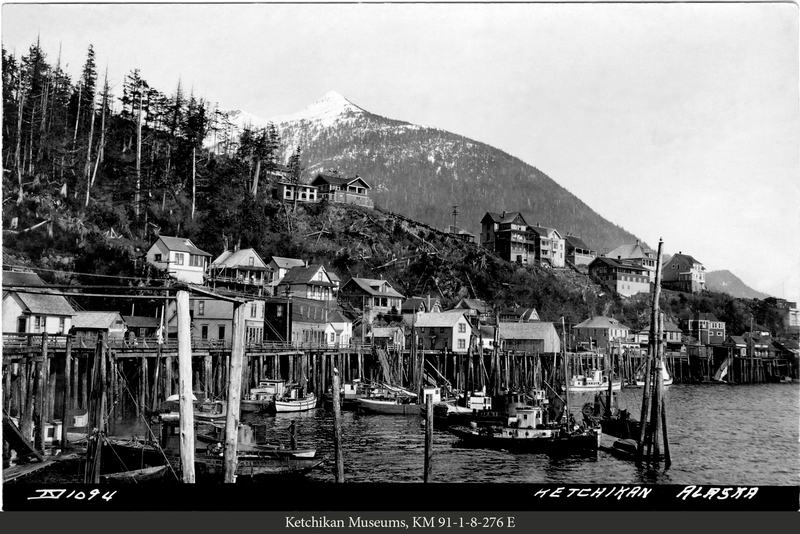 In 1902, a 10-foot wide walkway was built around the bluff connecting Newtown with Downtown and Newtown began to develop as the area where many of Ketchikan's early fishing industry businesses were located. 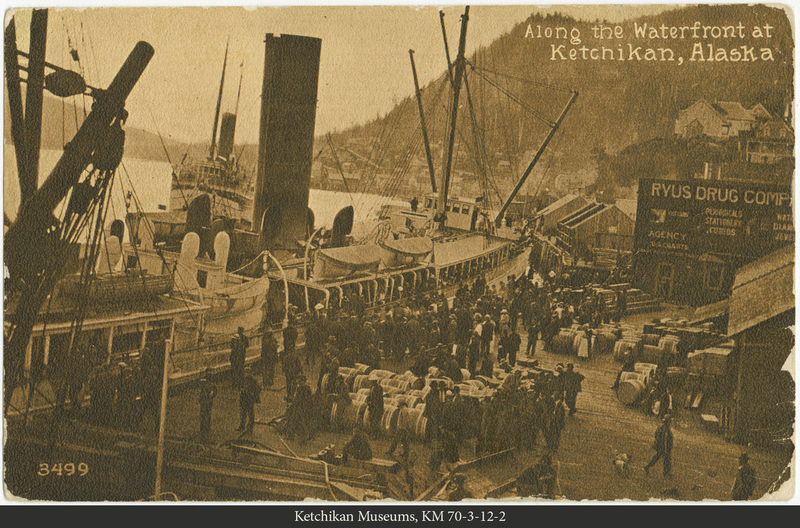 Ketchikan's first harbor, City Float (now Casey Moran Harbor), was built in Newtown just north of the bluff. In the meantime, some of Ketchikan's most prominent local citizens began to build houses on top of the bluff. Other residents called it "Snob Hill" in their honor. Eventually, the wooden walkway was replaced by a wooden roadway as Ketchikan continued to expand to the north along Tongass Narrows. As Ketchikan grew, and local traffic increased, there was discussion about how to eliminate the traffic bottleneck where the roadway snaked around the bluff. Initially, the Territorial government proposed taking out the bluff entirely. 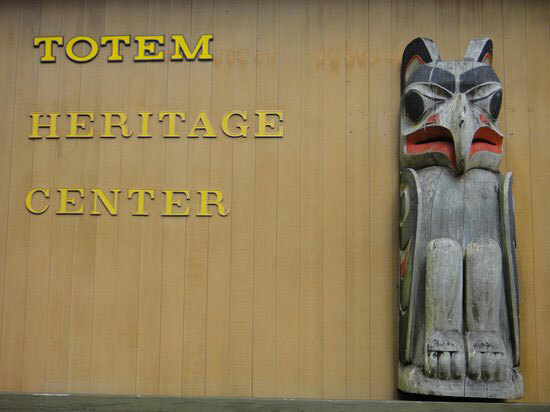 That met with opposition from many Ketchikan residents, particularly the ones who had built homes on the bluff. Eventually, it was decided that a tunnel should be built through the bluff, but only if it didn't damage the houses above. The cost of the tunnel was also prohibitive, so nothing was done at the time. In the 1950s, a large pulp paper mill was built in Ketchikan, causing a jump in population and a dramatic shift of the economy from the fishing industry to the timber industry. Significant infrastructure was built including large apartment buildings and newer, larger roads. The tunnel was blasted through the bluff, but was only one way, with the other direction of traffic continuing on the outside of the tunnel. 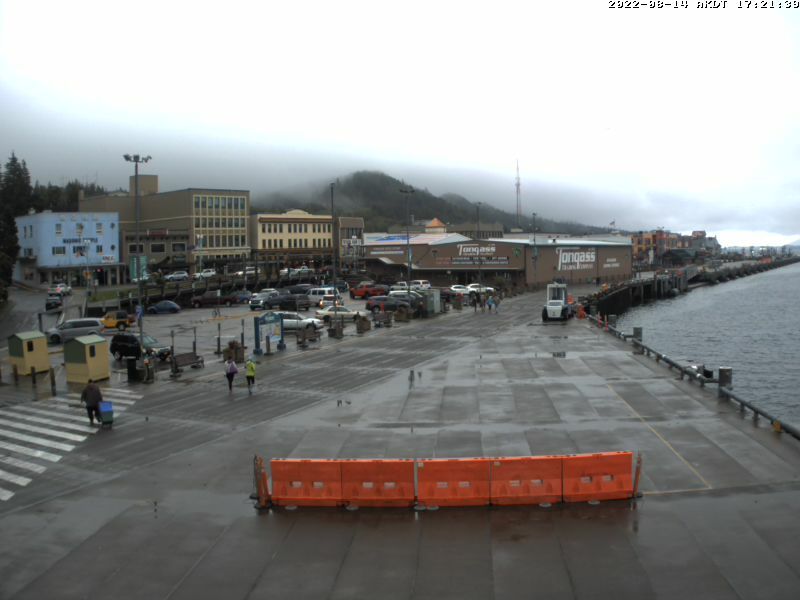 Another major change that occurred shortly afterwards was the closing of one of Ketchikan's more prominent businesses, the Ketchikan Cold Storage, which occupied the area which is now the parking lot between Tongass Dock Store and Berth 3. The giant concrete cold storage building was used to process salmon and halibut that had to be stored and frozen prior to being shipped out. Because it was concrete, it was oblivious to the numerous fires that occurred on Ketchikan's waterfront over the years. Beyond Berth 3 to the north - on the far side of Newtown - is Berth 4, a private dock that also services the cruise industry in the summer. Berth 4 is built on an area where several local canneries operated in the first half of the 20th Century when Ketchikan was indeed the "Salmon Canning Capital of the World." Most of the canneries closed in the 1940s and 1950s, but there remain two operating canneries south of Downtown and two operating cold storages, one south of Downtown, one north of Newtown.